The most comprehensive Invitations system for Joomla with OAuth Contact Import, automated intelligent invites, rich invite content, tracking, points integration, reminders and much much more!! InviteX was written with a very clear goal in mind - Help site administrators increase their site visitors and members using Viral Invitations. We can easily say that InviteX is the best invitation tool-set available for Joomla today. We not only give the best tools to help users import contacts and send invitations via email and private messaging, but also give some great features like rich content to improve the conversion rates of your invitation as well as automated invitations and reminders. Read on below to read about all the great features InviteX offers you. Invitex allows you to invite users to register on your website. Tight integrations with Native Joomla, JomSocial, Community Builder, Easysocial, XIPT and Virtuemart registration systems give you the flexibility to chose. What this means is, If you use any of these systems, invitations will be properly tracked. 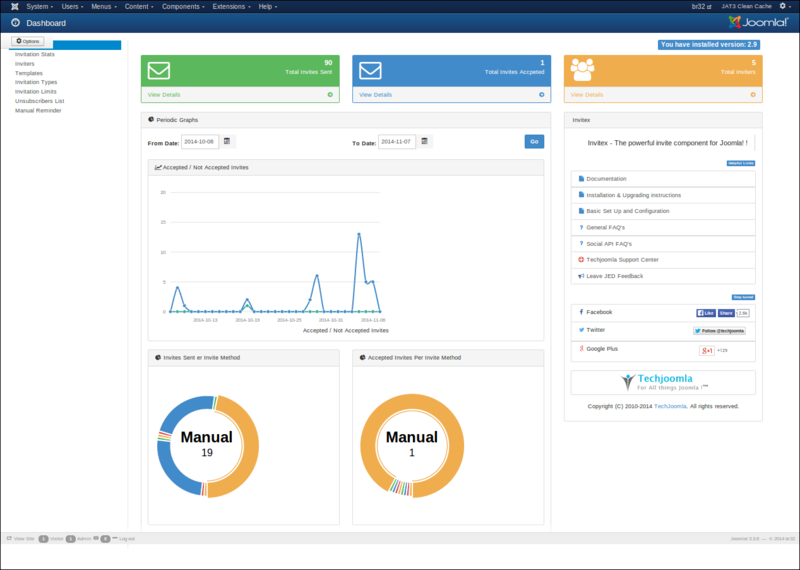 The site admins are given comprehensive and useful invitation statistics via a great looking dashboard in the admin area. Admins have full control on how default Invitations as well Invitation types should be used. This includes deciding which invitation methods to make available, decide integrations - almost everything you can think of is configurable. Most of the configuration can be overridden on a type level. Regular Invitations, Invitation types, reminders - basically all emails and content that Invitex will send is completely customisable and configurable by using templates. Invitex can be configured to add google analytics tracking code to all links, so you can stay updated and keep a track of how much traffic its bringing you. 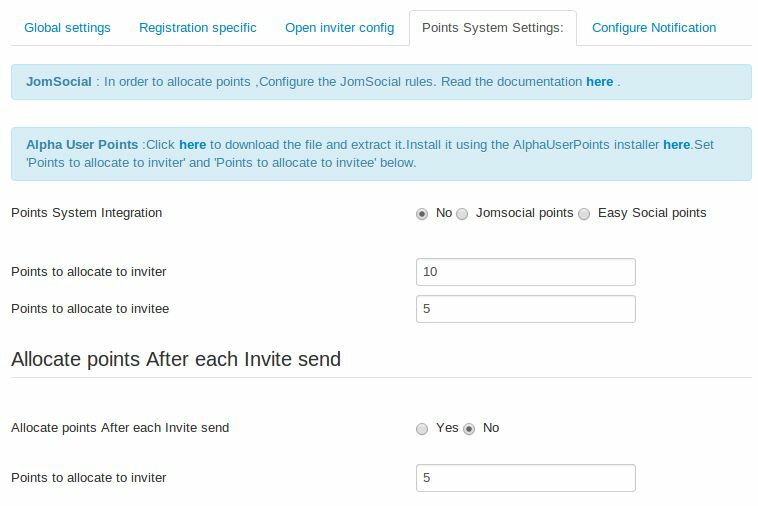 Invitex integrates with JomSocial points, Easysoical points as well as Alpha user points allowing you to allocate points to both the Inviter and Invitee when they send invites and sign up respectively. Applies to registration invites. Give your users monetary rewards by using the Invitex integrations with various affiliate systems. Dioscouri’s Amigos system already integrates with Invitex via a plugin. Invitex has an easy to use API so developers can easily integrate any system of their choice. IDevAffiliate, Post Affiliate pro integrations are currently under development. Users typically invite friends once and forget about it. With Invitex, the Admin can manually send invitation reminders to already invitex people or setup Invitex to send ‘X’ follow up invitations automatically. A Separate Invitation Reminder template can be configured as well, to have specially tailored content for these kind of invitations. 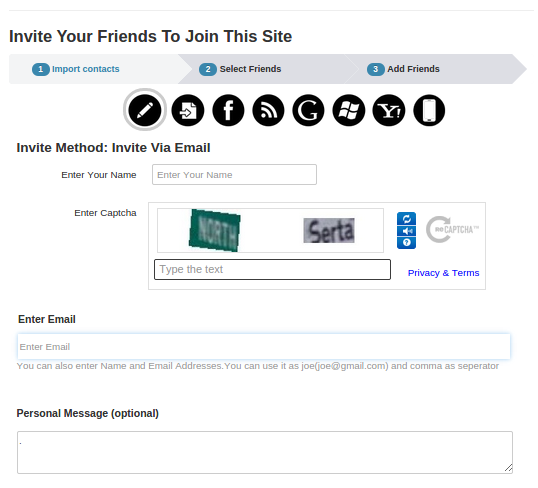 Invitex can send automated invitations to people that are likely to have their friends on your site. This is similar to the email Facebook sends “Do you know Meg, Ryan, Sally?” If you let Invitex store imported contacts, then invitex can try to intelligently find people who have friends on your site and send them automated emails asking them to join up as well. With this special data tag, Invitex will show people who have invited you to date to sign up on this site. 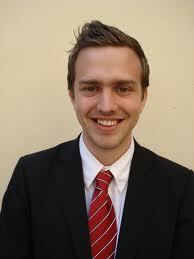 This will show all past inviters with their avatar photo. This also compels users to sign up. Invitex allows you to add rich dynamic and relevant content in your Invitation emails by using the ‘J!MailAlerts Integration’. 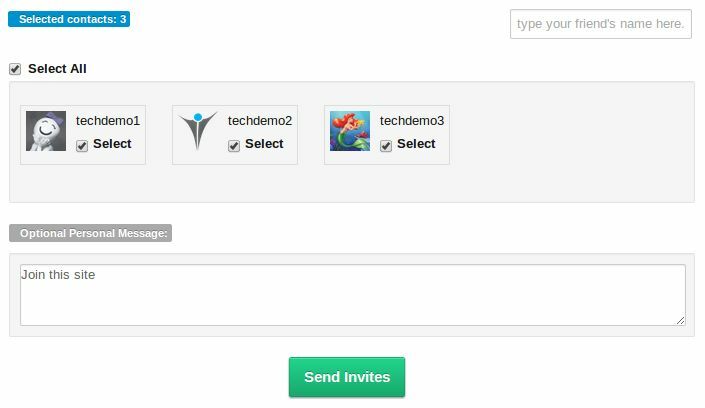 This allows you to add content like Inviter Photos, Site News etc to your Invite email. Any J!mailAlerts plugin data can be shown in your Invite email. Rich and relevant Invitations are a Key to getting people interested and signing up. Customizable Email content and Subject. You can also use data tags to increase the personalization of your email. Any CB or JomSocial fields - if you are using one of these integrations, can be included in the email using tags to further personalise your content. The admin can set email invitations to expire after ‘X’ days if he wants to. Plugin API for developers to modify content of the invitations on the fly. Many more plugin triggers available to let developers modify the working of Invitex. Develop your own native API plugins to import contacts using our Social Plugins API from networks using OAuth or similar methods. If you are using Invitex or planning to use it, we recommend you also go in for the following products. People Suggest has a Invitex integration feature which lets you use Invitex import data to Suggest new friends to your website users. These emails are potential advertising real estate for you! Increasing the advertising reach many fold, Invitex emails are a great place to push ads from your site in. If you are using SocialAds, you can setup AdsInEmail today! Read Monetizing your Invitaton Emails. J!MailAlerts plugins are supported in Invitex allowing you to send Rich, targeted content in your Invitation Emails.Dynamic content that the Invitee can relate to is a sure shot way to make that conversion. These can also be used in Invitation reminders. You have been asking us for a tighter Integration and a native App for EasySocial for a while now. We are sorry for the delay but its finally here ! The Invitex app sits nicely in the EasySocial layout and gives a more native experience in the Invitation flow. 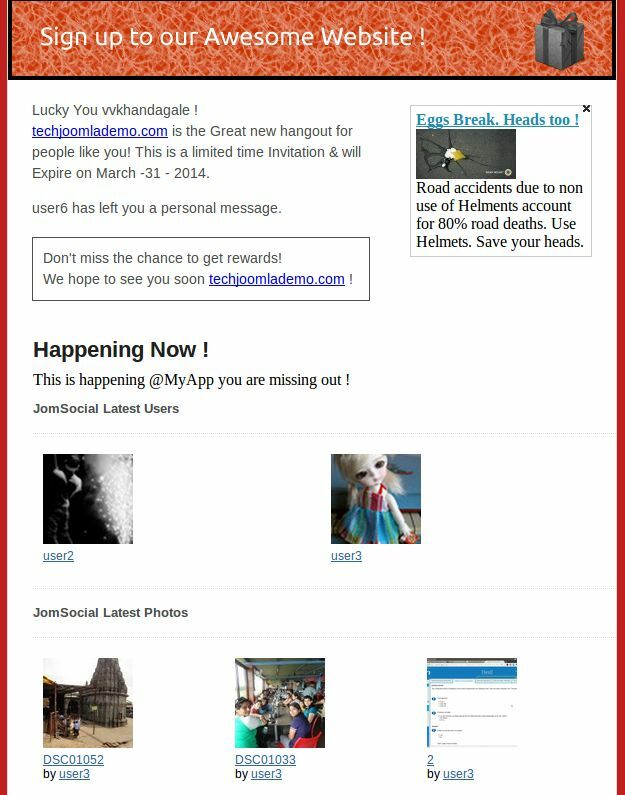 In addition, we have also introduced new Invitation types specific to EasySocial to let you Invite users to EasySocial specific elements. 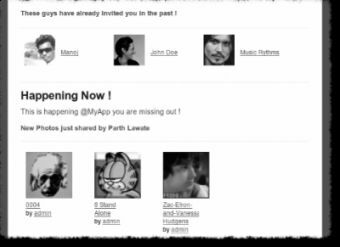 Plus we have made these invitation types very accesible by adding a nice link in the EasySocial sidebar when you are on your Profile, group or event page. Keep a track of everything. You can analyse all the invitations using this Dashboard which gives a bird's eye view . It includes stuff like Number of invitations sent, invitations accepted, total inviters plus analysis of invitations associated with the Social network like Twitter. Detailed stats report of the invitations sent. Invitee's stats report in back end,detailed stats report of the invitations sent. The report contains information about Inviter name, invitee name, invitee email id, method of invitation and much more. We have completely refactored the Invitex backend views as well a lot of the backend code to follow Joomla 3 coding guidelines getting rid of a lot of accumulated technical debt in the process. This has also been done to frontend list views. In future releases, we will be refactoring the remaining code as well. Invitex supports Bootstrap 3 compatibility which is already popular with a large number of templates. An option that enables only invited people to join the network through their email Id's. 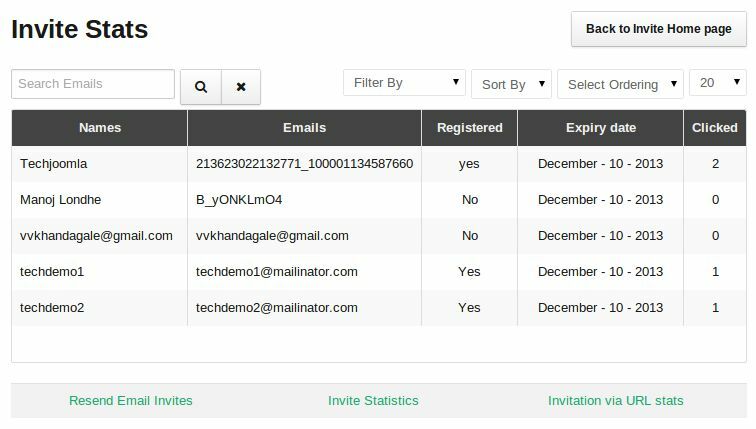 List view in admin side for showing stats of "Users Registered using Invite via URL invitation Method"
Site administrators can view a list of the invitation statistics regarding the invitees that are successfully registered using the "Invite via URL invitation method". 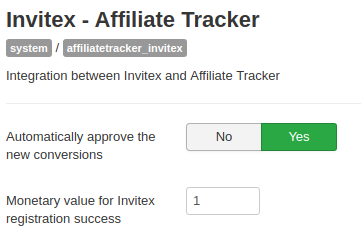 The JoomlaThat team has developed a plugin for integrating Affiliate Tracker with Invitex. This plugin will allow users to have an affliate program for tracking the registrations in Invitex. 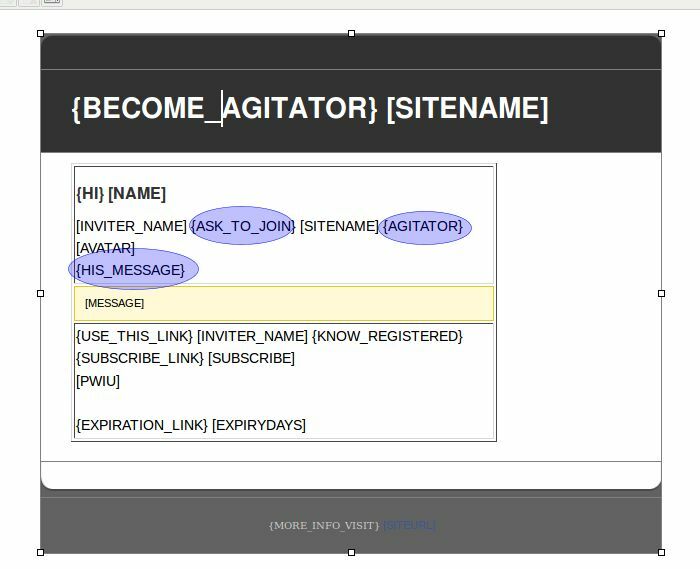 Actionlog plugin for Invitex logs actions for activities related to contacts import, subscribing/unsubscribing, invitation reminder, saving email templates. The privacy plugin is responsible for processing privacy related requests to Invitex. Privacy related requests are related to export and deletion of user data. Invitex uses Bootstrap for all its UI which makes it easy to style and integrate with Joomla templates. Builtin 3 irresistible layout options - Facebook, Original and Awesome Bootstrap. 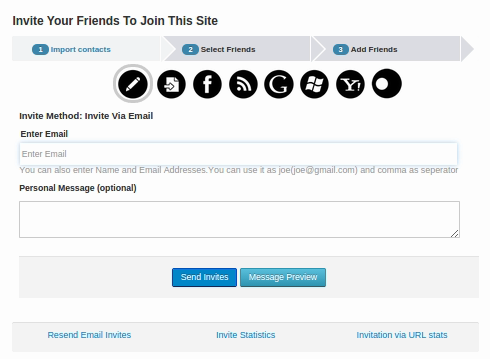 Any visitor/guest user on the site can now invite their friends on the site. All they have to do is enter their name and email and use Invitex. Remind your users to send out a few invitations after each login. This feature will allow you to redirect users to the Invitations page immediately after login and ask them to send Invitations. They can skip this of-course. Settings will also allow you to let this happen every time or Randomly. With its extremely scalable feature called as Invitex Anywhere, we let you extend the awesome features of InviteX to invite for absolutely anything! 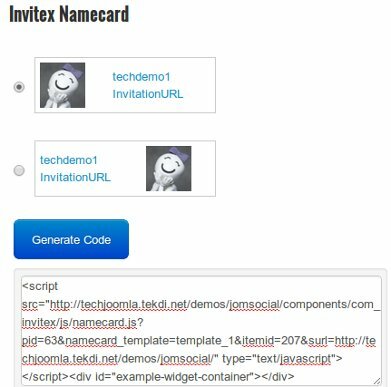 Create highly configurable Invite types and use the full power of Invitex to send Invites for virtually anything - JomSocial Groups, Events, Joomla Articles, A Custom component page.. just about anything! We provide a native oAuth integration with major email services and social networks to give you the best and correct way to let people import their contacts and invite them to your site. Currently, following services are supported. You've a huge contact list..?? 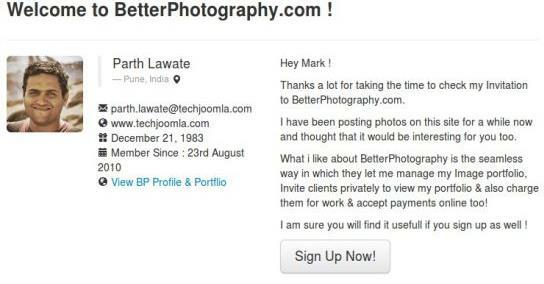 Difficult to search a contact to send invite..?? No worries, this feature allows the user to search the contact with quick contact search on import. Using Native APIs we get Names and Photos of contacts which makes the view rich and comfortable for end users. 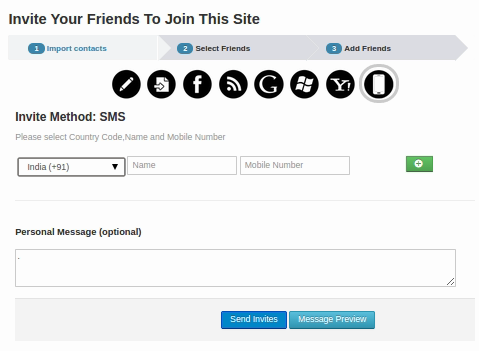 We also show the number of selected contacts so that the user knows how many people the invite will go out to. If you are popular, you will probably have thousands of contacts in your Gmail / Yahoo / Twitter and even in other networks. With so many contacts, it becomes hard to remember which ones you selected to Invite to the site. This feature will show the selected contacts in a separate tab making it much better from a usability perspective. 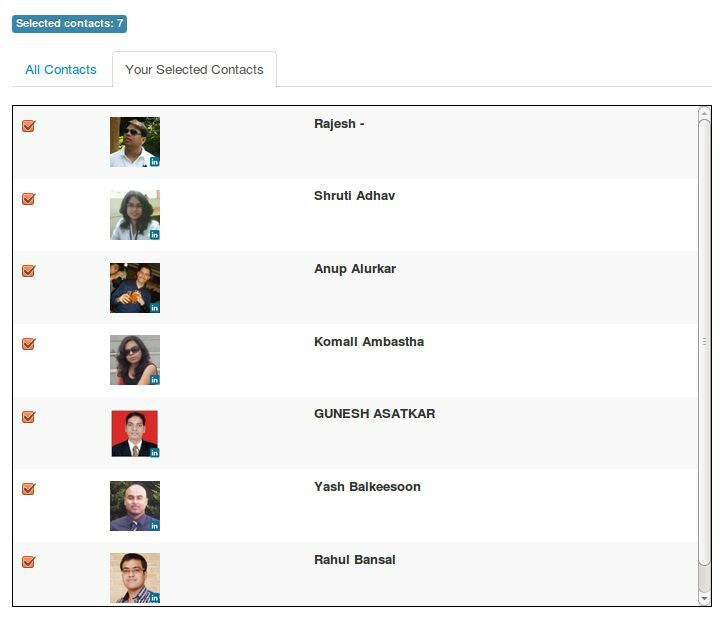 Enabling this feature will load imported contacts in batches and you will need to click load more to load more contacts. This is useful when users have lots of contacts and thus it takes more time to load. 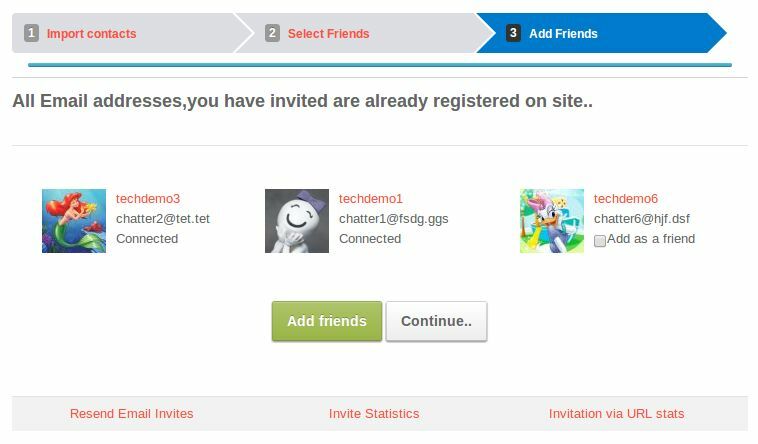 Give the flexibility to invite users via a unique URL and also track all invites and sign-ups via this invitation. Instead of importing contacts one by one, users can import contacts in bulk by uploading a CSV file with contact data. Making requests to different Social Networks in batches so that the users have a seamless experience while inviting their friends. The limitations that many Social Networks on the number of Messages or notifications we can send using their OAuth API is handled in this batching process. Which means that a user can invite all the Twitter friends in one go. However, the application will send these requests to Twitter in batches so that your app doesn't hit its limits! Finding your friends is even easier. Discover friends during the invitation process. Invitex will show friends that are already on the site during the import process and give the user the option to add them as friends. You can also display our people suggest module on this page to suggest even more friends. The admin can choose global invitation limits and per user invitation limits. He can also set limits on a per user basis. In addition, per session invitation limits can also be set globally to avoid system abuse. Limits only apply to email invites. Introducing a new content plugin to make the custom landing pages for Invitex using a Joomla Article and any custom content much more rich and attractive. Give users great looking name cards which are available in various formats with their own unique URL which are given to users as Widgets to use to promote the site on their blogs etc. With this, when using Invitex for other extensions or pages other than registration, one might want to invite his existing friends on this site. 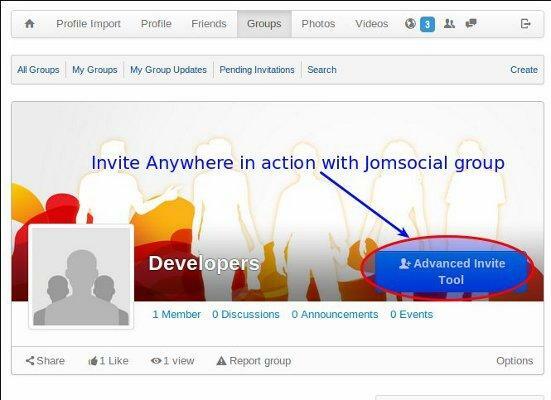 This feature lets you do that and sends the invite via JomSocial PM. Maintain exclusivity by restricting new invitations to be only via invitation. Let users send Invites as an integrated part of your Registration process. Option to integrate with Open Inviter to add additional mail services. Open inviter is a third party integration that you may use if you wish. But its not covered under our support scope. We recommend using Native API plugins instead. If you are using CB or JomSocial, the inviter and invitee shall be automatically connected as friends. Keeping a track the invites they have sent is even more easy. Users will be able to see invite statistics and resend invites. Ability to set domain limitations on which email addresses can the invite be sent to. Useful for closed networks, colleges and government applications. You can configure Invitex to send invitations in batches by setting a batch size and configuring the Invitex cron such that the outgoing emails are within your server limits so that you can use Invitex on shared servers. 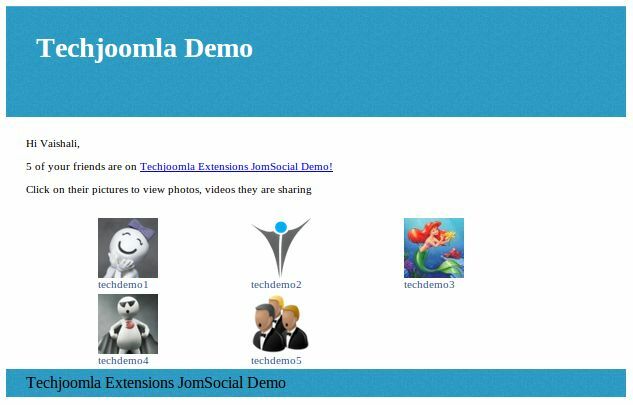 Activity stream integrations for Community Builder, JomSocial and JomWall to display all your invitation activities like, "Parth just invited 50 friends to Techjoomla using the Invite friends tool and Earned 100 points!" Plus with a Broadcast plugin, the same note can be shouted out to Facebook, Twitter and LinkedIn as well if you have broadcast and the user has connected his accounts! Ability to insert Ads in emails via SocialAds and Monetize your Invitation emails. This is Highly Recommended, as Invitations reach to inboxes of lots of users and have a high reach. You will need to have SocialAds to enable this feature. 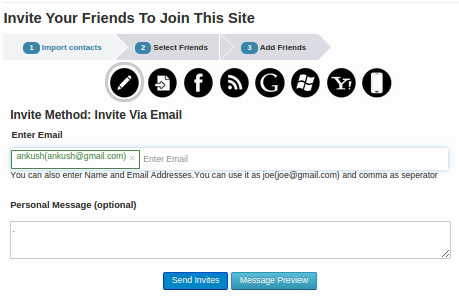 Notify your users via email, when a Friend joins the site or when an Invitation is accepted. 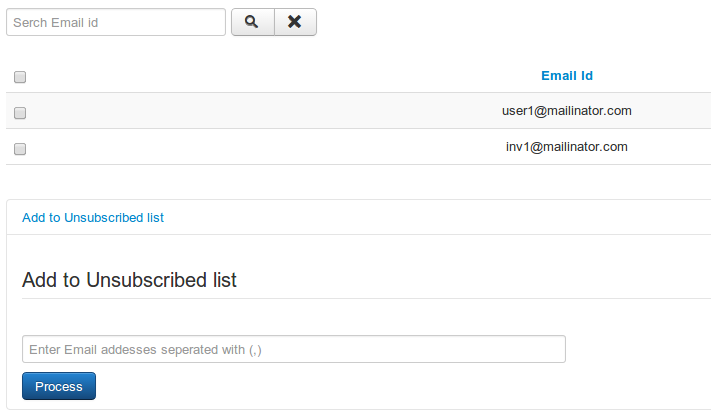 You have the option to use direct email notifications for this or use JS Notifications if you have JomSocial. We now allow you to specify the Name of the person you are inviting when you are sending your invitations. This means your Invites are more personalised and are more likely to respond ! With this feature, we take Viral invitations to a whole new level with a huge increase in reach. SMS Invitations allow you to send Invitations via SMS by specifying the Name and Cell Number of the person you are inviting. In addition, you also have the option of sending a quick personal message with the invite. Invite Guests or EasySocial Friends ! 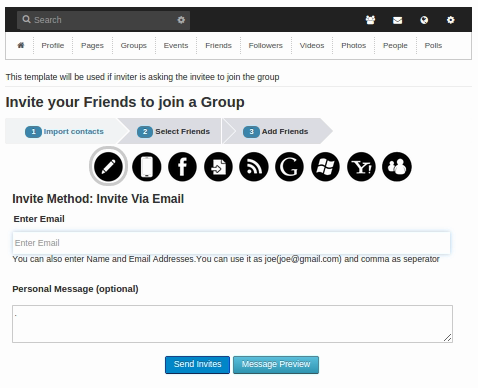 Invitex now gets a new Invitation method to allow you to invite your EasySocial Friends ! With Invitex, you get a single flow whether you want to invite your friends via email, external social networks or your friends already on EasySocial. Due to some issues with using the Google url Shortener, we have introduced bit.ly as a URL shortener. Currently this only works with Twitter. In future releases we will be making it as a general option. 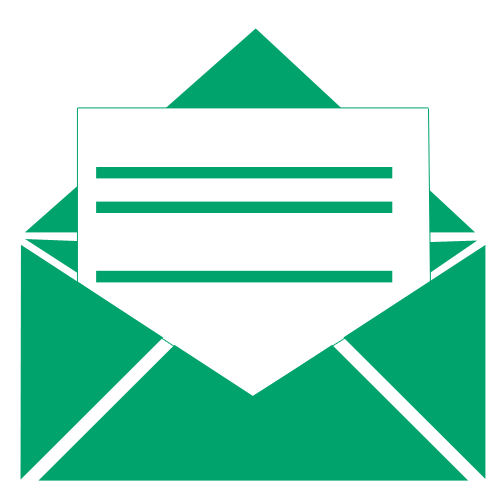 A simple,quick invitations module that helps you send manual invitations in no time. The Subscription gives you access to product updates and support on one domain for the period of the subscription. Know more about our Subscription Policy. All subscription plans are backed by risk-free 30-day money back guarantee. Check our Refund Policy. Click to visit 'Download Translations' page. One Size need not fit all. Get a quote for Custom features, Integrations, Payment Gateways and more !